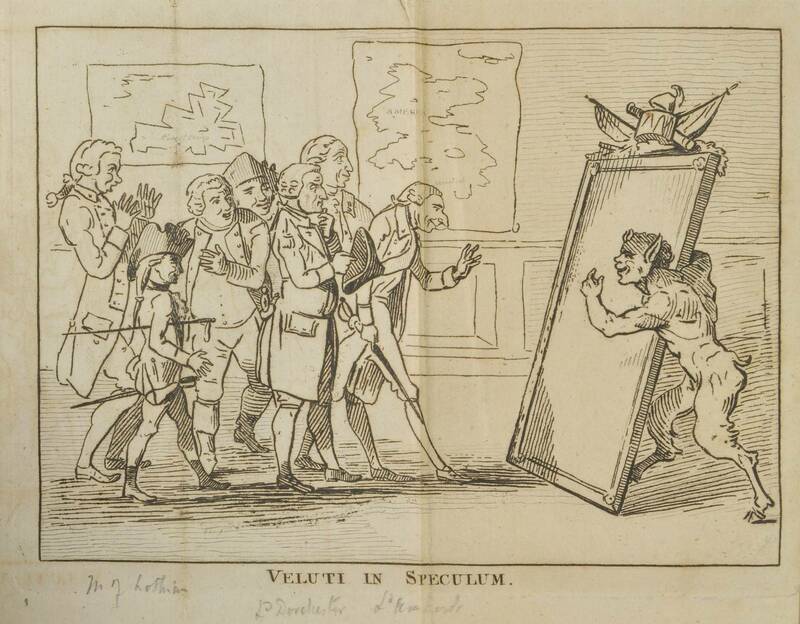 The print is titled Veluti in Speculum (‘as in a mirror’) and shows a satyr inviting a party of British officers to look at themselves in a large mirror topped with military regalia. The Library of Congress catalogue identifies the officers as (l-r) Amherst, Murray, Burgoyne, and possibly Tarleton, Cornwallis, Clinton, and Sir William Howe. Their reactions range from shock (Amherst) to rapt self-adulation (Howe), but all manage to effectively convey the impression of preening narcissism. 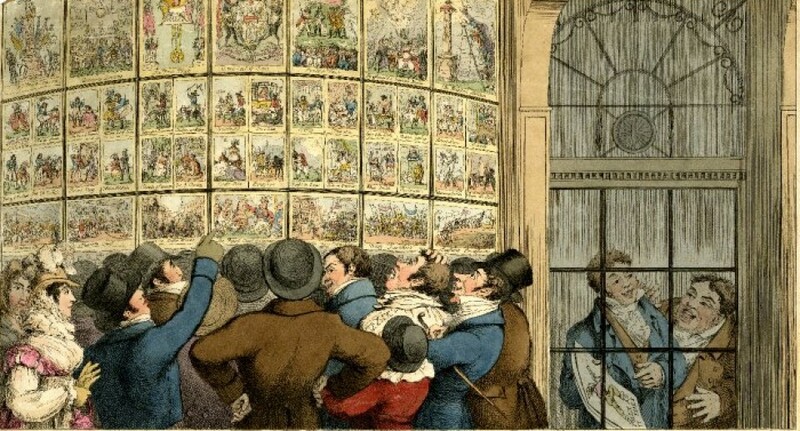 This message is reinforced by the fact that the generals are so distracted by their own reflections that they have completely neglected the charts on the walls behind them, both maps of theatres in which the British had recently experienced humiliating military reversals, namely Menorca and the North American colonies.